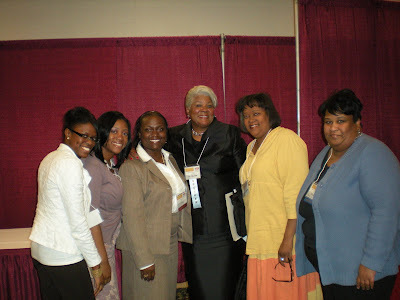 May 16 – 18, 2011 marked the 8th annual MISRGO Clearing the Air in Communities of Color Conference – another year of successfully advocating anti-tobacco lives in the state of Arkansas. The Conference kicked off May 16th with the first-ever pre-conference workshop facilitated by Dr. Jeannette Noltenius of the National Latino Tobacco Control Network (NLTCN). The workshop was hosted to speak specifically to the Hispanic/Latino community of Arkansas and share best practices and insights regarding tobacco control amongst this growing population. Several leaders within the Hispanic/Latino community were in attendance and actively participated in the discussion about the ills of tobacco consumption and increasing such knowledge across the state. The following day, May 17th, was the adult day of the Conference. A variety of anti-tobacco advocates shared stories of their experience within the tobacco industry and how they too seek to change consumption behavior within minority communities. Guest speakers for this day included Dr. Alan Blum, University of Alabama Center for the Study of Tobacco and Society; Dr. Jeannette Noltenius, National Latino Tobacco Control Network; Reverend Elaine Walters, National African-American Tobacco Education Network; and Ms. Joyce Raynor, Women’s Council on African American Affairs. The presentations and information shared with attendees were extremely informative and well-received. To further demonstrate support for the Conference and the anti-tobacco initiatives taking placing in Pine Bluff, the Pine Bluff Commercial developed a full-page cover story about the success of the Conference. Wonderful support from our local media partners! 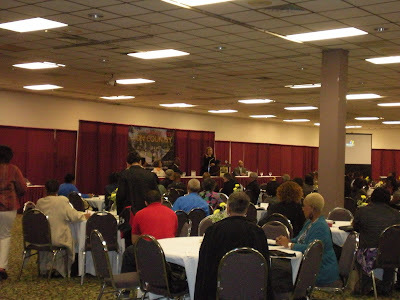 The last day of the Conference, May 18th, was the youth day, which featured interactive presentations and activities facilitated by Ms. Keisha Grigsby, a tobacco cessation interventionist. The youth day was capped by a smoke-free rap contest in which several of the student attendees participated. The rap contest was hosted by the YES Team and three prizes were given to the selected winners. The youth appeared to greatly enjoy the event. MISRGO looks forward to an even bigger and better Conference next year! 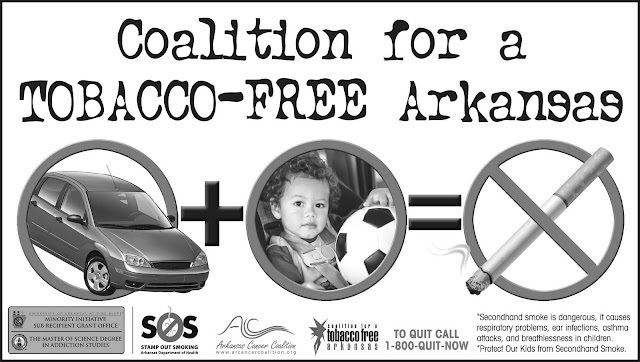 The Coalition for a Tobacco Free Arkansas’ (CTFA) mission is to improve the health of Arkansans by reducing the health burden caused by tobacco use and exposure to secondhand smoke through the use of education, prevention and policy efforts. One of the many populations the CTFA seeks to protect from secondhand smoke exposure is Arkansas’ children. Secondhand smoke contains more than 250 chemicals known to be toxic or carcinogenic, including formaldehyde, benzene, vinyl chloride, arsenic, ammonia, just to name a few of them. Children who are exposed to secondhand smoke are inhaling many of the same cancer-causing substance and poisons as smokers. In 2006, the U.S. Surgeon General reported that the only way to fully protect people from secondhand smoke exposure in through 100% smoke-free environments, such as smoke-free homes, and smoke-free cars. 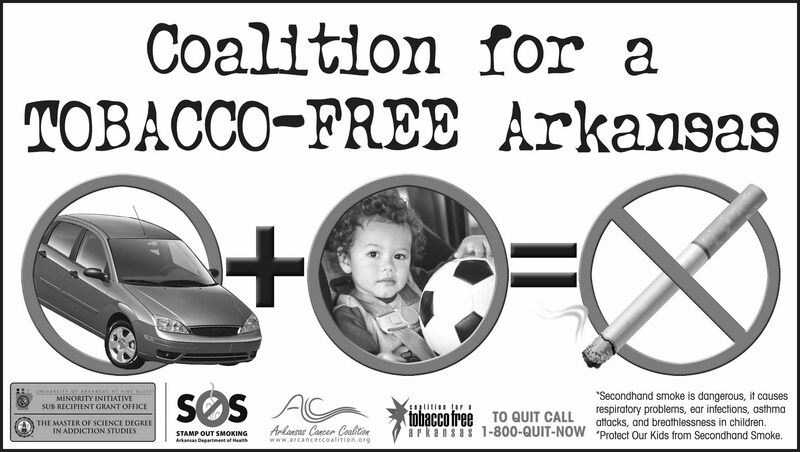 After more than two years of hard work and three legislative bills, the Coalition for a Tobacco Free Arkansas, with the help from many of its partners, was successful in getting a law, Act 811 of 2011, passed to protect additional children from secondhand smoke exposure when in a motor vehicle. In 2006, the Arkansas Legislature passed Act 13 of 2006 that prohibited smoking in a vehicle when a child between the ages of 0 – 6 years is present. However, on March 30, 2011, Governor Mike Beebe signed into law SB 1004, whereby increasing the age limit in Act 13 of 2006 from 6 years of age up to the age of 14 years. The new law, Act 811 of 2011, increased the percent of children protected from secondhand smoke exposure in a motor vehicle from 37.3% to 73.5%. Act 811 of 2011 is scheduled to go into effect on July 27, 2011. We’re on the right track, but our smoke-free cars work is not done until all minors are protected from secondhand smoke in a motor vehicle. KTVE/NBC Channel 10 and Fox Channel 14 listeners are still--to-date--calling the Evergreen Baptist Church Tobacco Awareness Program (EGBCTAP) for help to quit smoking. As a result of an overwhelming response to a minority disparity and 1-800-QUIT-NOW tobacco information television commercial, EGBCTAP has set May 5th as a beginning date for "40-Days to Freedom", a cessation campaign designed for use by faith-based organizations. Community grantees continue to be a trusted resource when a personal-touch is requested by various individuals. Graduation ceremonies have also been scheduled for June 12th for “quitters” who will successfully complete 40-day workshop. Each participant will receive free invitations in order to invite friends and family to their “quit-date” graduation services. Quitters will be guests of honor and guest speakers, certificates, food, etc. will accompany this gala event. Although most people believe television advertising is extremely costly, the actual advertising cost was less than $10 per commercial during a special provided by the station. NBC television staff assisted EGBCTAP by identifying time-and- show preferences (“Family Feud”, “Judge Joe Brown”, etc.) that surrounded the minority target population. Television advertising was a cost effective strategy that enabled EGBCTAP to reach a broader audience by crossing the state-line into the Louisiana area to bring in ten callers to the EGBCTAP office. EGBCTAP has further plans to include the valuable cessation workshop assistance online by “oovoo”. For more information concerning “40-Days to Freedom” call the EGBCTAP office at 870-918-7264 or the MISRGO office at 870-575-8923. For further help to quit smoking, please call 1-800-QUIT-NOW. MISRGO, in partnership with its marketing/advertising agency, recently completed an innovative, non-traditional intercept research assessment against African American males in the following three markets: Little Rock, Pine Bluff and West Memphis. The purpose of the research was to gain a better understanding of the perception of tobacco products, consumption trends, ills and preferred methods of cessation against African American males to become even better equipped to advocate for tobacco-free lives. The data uncovered from the research was extremely informative. Below are just a few highlights from the research. Respondent’s feel that mentholated and non-mentholated are equally unhealthy. However, when prompted that mentholated (and all respondents smoke mentholated) is actually more harmful, most (77.1%) would still continue smoking mentholated and only (19%) would quit smoking entirely. Nearly all respondents (84.8%) were completely unaware of Erectile Dysfunction and almost the same number (85.7%) were unaware of any correlation between smoking and Erectile Dysfunction. However, when made aware of the correlation between smoking and Erectile Dysfunction (88.8%) would quit smoking. Only (22.9%) of respondents indicated that they smoked Black & Milds on a regular basis. However, only (12.5%) seemed to indicate flavored cigarettes as their preference, and they did so because they preferred the taste. Cinco de Mayo (Spanish for "fifth of May") is a holiday held on May 5. It is celebrated nationwide in the United States and regionally in Mexico, primarily in the state of Puebla. The date is observed in the United States as a celebration of Mexican heritage and pride and to commemorate the cause of freedom and democracy during the first years of the American Civil War. 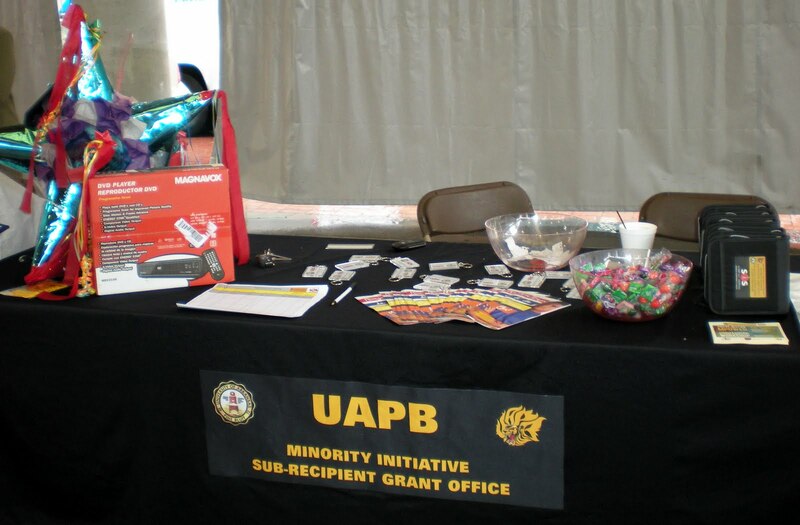 This year, the Minority Initiative Sub-Recipient Grant Office partnered with local Hispanic organizations to encourage tobacco prevention and cessation in recognition of Cinco de Mayo. Saturday, April 30th from 10:00 a.m. to 3:00 p.m., the 8th annual ¡Hola! 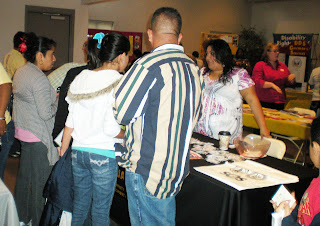 Arkansas Health & Safety Fair took place at the College Station Clinic and City Center. The following day, Sunday, May 1st from 12 – 8:00 p.m., the annual Cinco de Mayo activities were recognized by the Central Arkansas League of United Latin American Citizens at the Little Rock River Market. The Health and Safety Fair yielded strong attendance of approximately 1,000 Hispanic Americans and individuals from surrounding communities. MISRGO distributed educational brochures, Quit Line information, promotional items, and facilitated a DVD player raffle from its booth. The event was a huge hit! 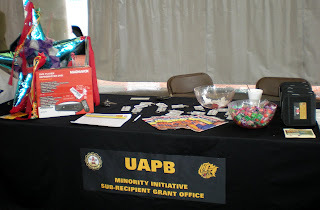 Although severe weather conditions did not allow for anticipated attendance at the Cinco de Mayo festival the following day, the MISRGO booth was still actively visited. Materials were distributed at the festival and a Stamp Out Smoking piñata was developed specifically for this event. 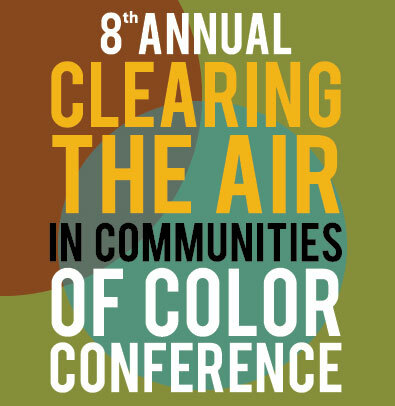 Beyond the promotional materials, information about the Clearing the Air in Communities of Color pre-conference workshop were distributed as well. Your MISRGO team has been busy promoting and advocating tobacco-free lives in the State of Arkansas! Take a look at some of the successful activities we participated in this quarter. 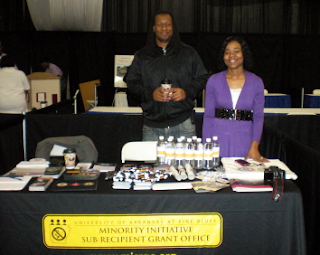 MISRGO and Addiction Studies participated in the Annual Midsouth Summit Black Expo, February 26, 2011 at Little Rock’s Metroplex. There were 3,500 in attendance and 82 booths present. MISRGO staff identified potential Clearing The Air Conference vendors, surveyed attendees and offered collaterals. February kicked off efforts to speak directly to served and underserved counties by uniting with The Power 92 Jammers Charity Basketball team. The basketball season partnership has afforded MISRGO the opportunity to introduce Quitline information, disseminate cessation and prevention literature, address spectators at halftime and receive commentator mentions throughout the game. In the past several weeks 2,897 minority Arkansans have attended the charity basketball games, including those from Bradley, Arkansas, Washington, Pope and Hempstead counties. MISRGO and Addiction Studies paired with KIPR-Power 92 Jams for the 2nd Annual Independent Youth Football League Benefit and Broadway Joe Birthday Weekend Celebration. Day 1, Friday, February 25, 2011, 675 Doubletree Hotel attendees learned of UAPB’s 15% Set-A-Side program and initiatives in an on stage demonstration. Day 2, Saturday evening, February 26, 2011, MISRGO encouraged prevention and cessation to 558 IYFL parents and announced collaboration with The Power 92 Jammers. MISRGO and Addiction Studies partnered with the American Heart Association and KHLR-106.7 Hallelujah FM, April 8, 2011, in Little Rock for “An Evening with Wess Morgan”, Billboard’s current top 5 gospel artist. MISRGO and two Little Rock sub-grantees presented funding opportunity particulars, tobacco facts, law enhancements and Quit Line information. 226 African American adults were in attendance.